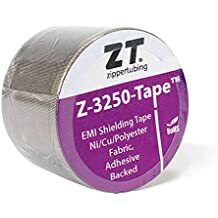 Zip Mesh - Shielding Tapes And Wraps - Emi Shielding - Products - ZT | Zippertubing Co.
SHX-2 (SnCu) is a flexible 2 layer knitted wire mesh EMI shielding material that is made of tin plated, copper wire. The knitted mesh design creates a highly flexible shield that unlike many tubular braids will not change attenuation performance when articulated. The knitted wire mesh maintains constant window spacing during cable assembly movement. The material is highly conductive, lightweight and is ideal for airborne applications where lightning strike grounding is required. 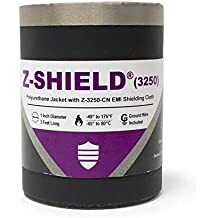 The mesh can be added to most Zippertubing jacket materials to create an easy to install Zip-on EMI shielded assembly.